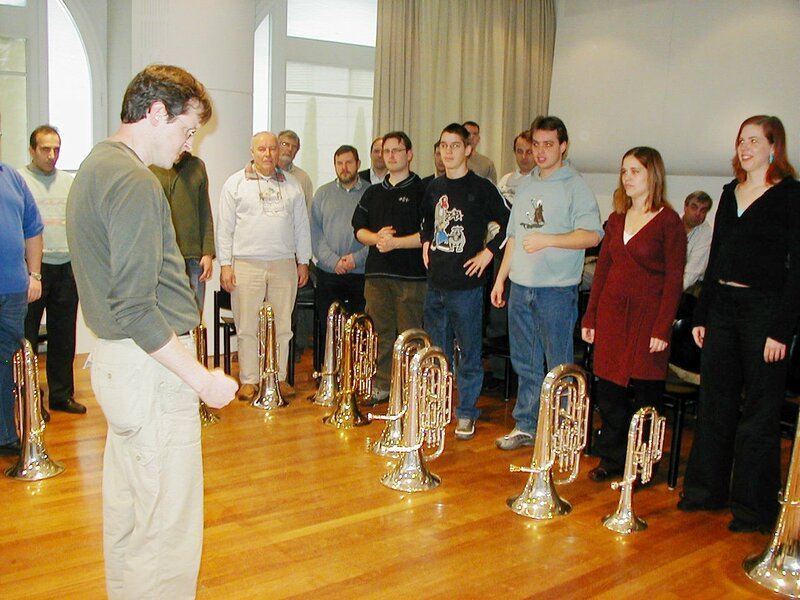 The Dean of non-professional class of brass instruments, Mister Robert Ischer welcomes us. Buzzing work, with mouthpiece is a very important exercise. And to end, a brilliant demonstration of Thomas Rüedi, impressive of control ! 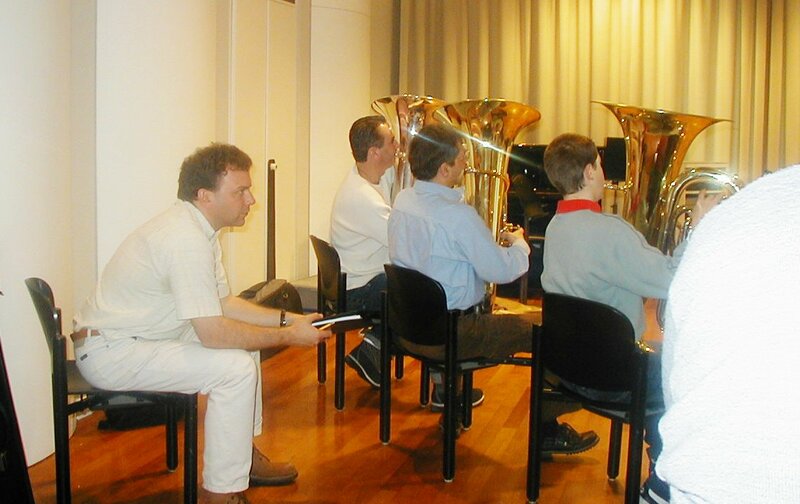 Thomas Rüedi was born in 1969 in Oberwil, near Berne, Switzerland and began playing the euphonium at the age of 11. 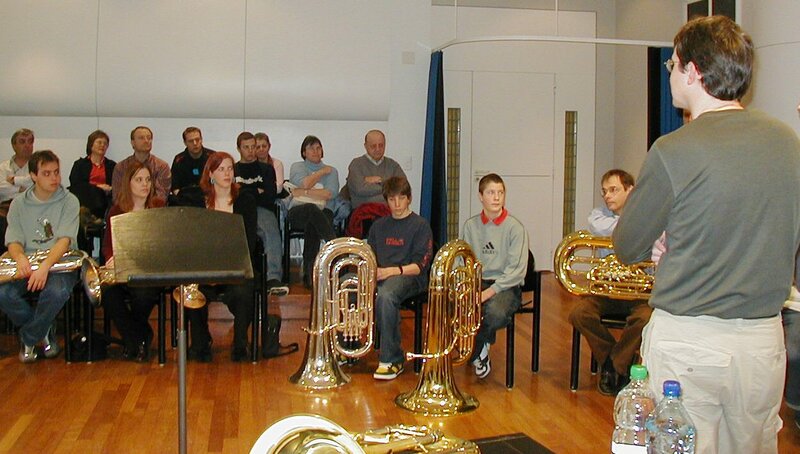 He soon showed a great affinity for the instrument which led to him winning many national solo prizes in his youth. 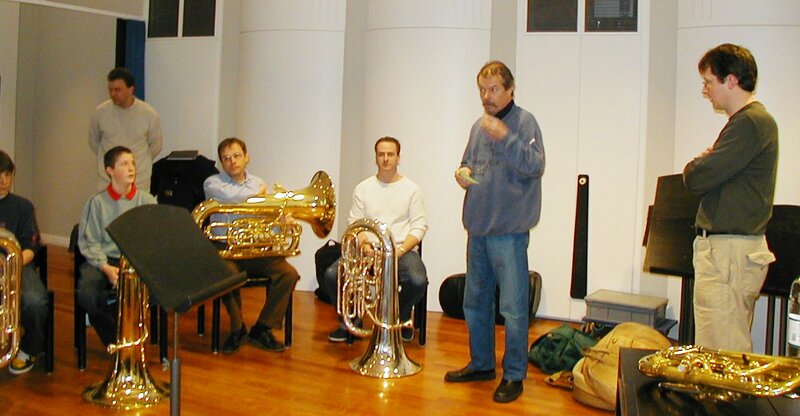 Thomas Rüedi went on to study music in England between 1991 and 1995, following degree courses in euphonium, conducting, composition and arranging. 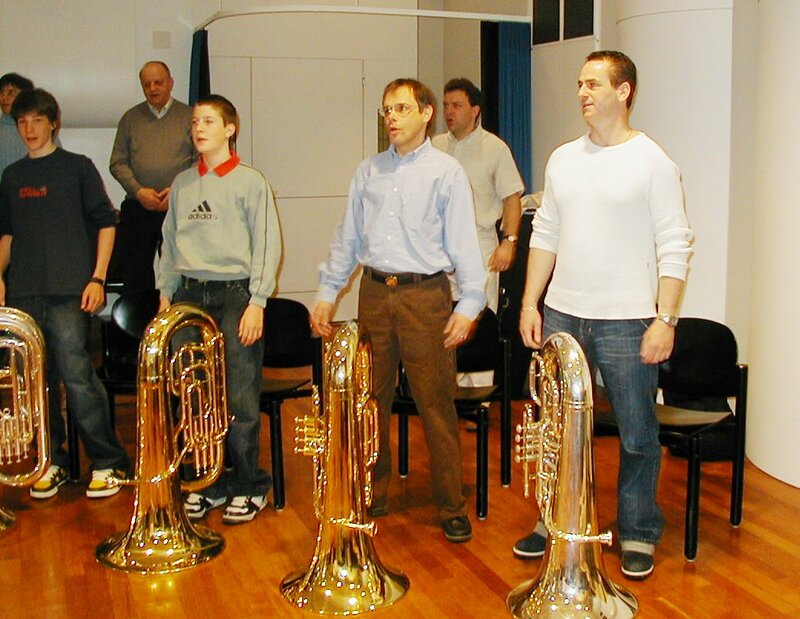 As a solo euphonium player, he has performed with many of Britain?s finest brass bands. 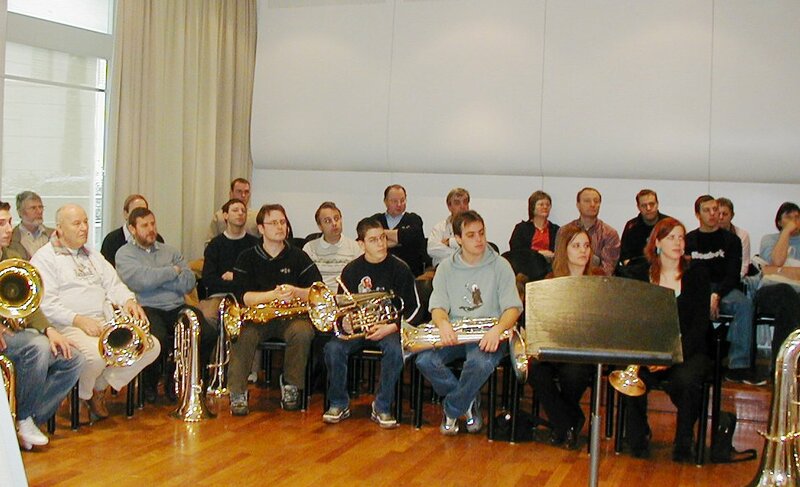 Back in Switzerland, Thomas Rüedi was appointed musical director of Brassband Bürgermusik Luzern (1995-2002) and "Seeland Brass" (1997 to date). 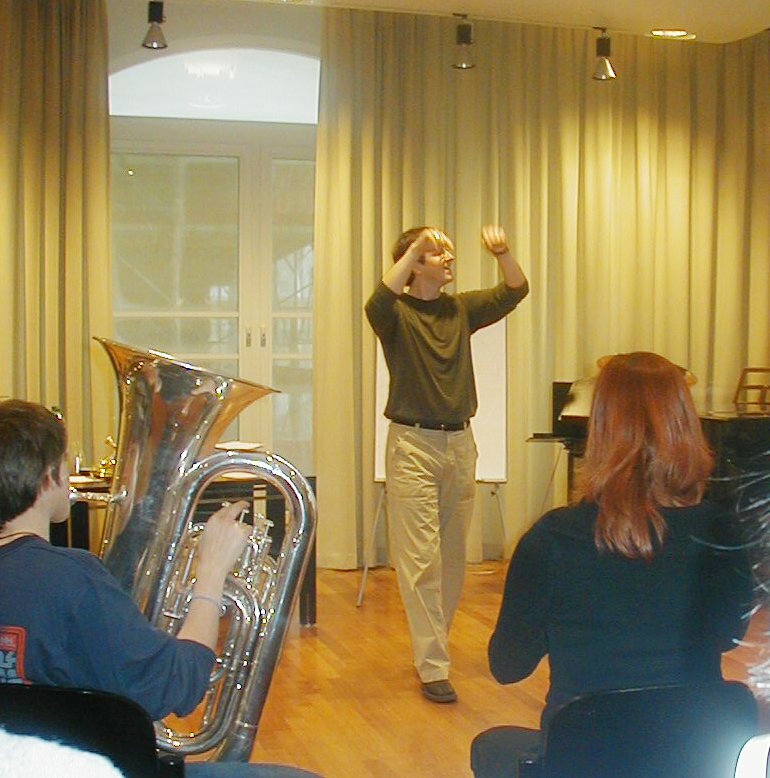 As a guest conductor of Brass Band Berneroberland, Thomas Rüedi won the Swiss Open and European Open Contest 2004 in Lucerne. 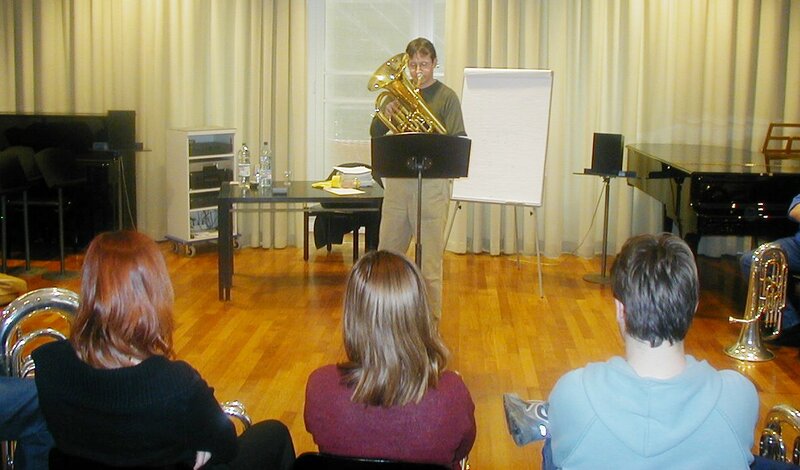 He is euphonium and chamber music tutor at the Musikhochschule Luzern and Hochschule der Künste Bern. 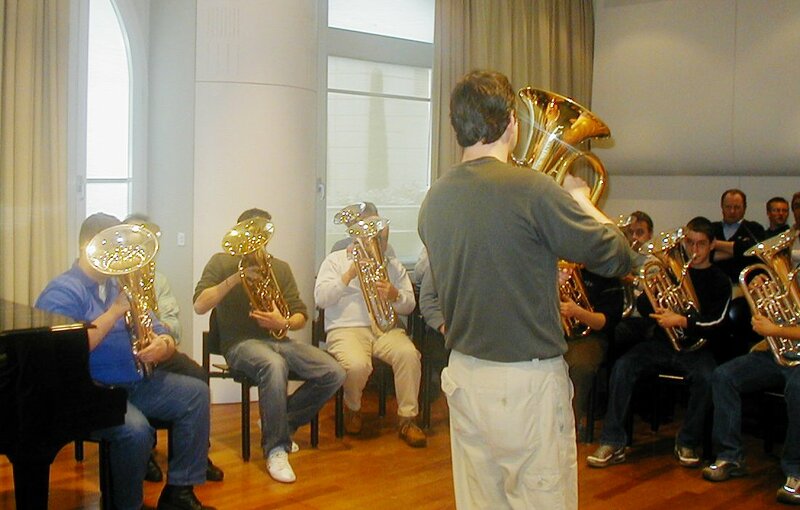 He is also active as a composer and arranger, having a particular interest in the enrichment of the euphonium repertoire. 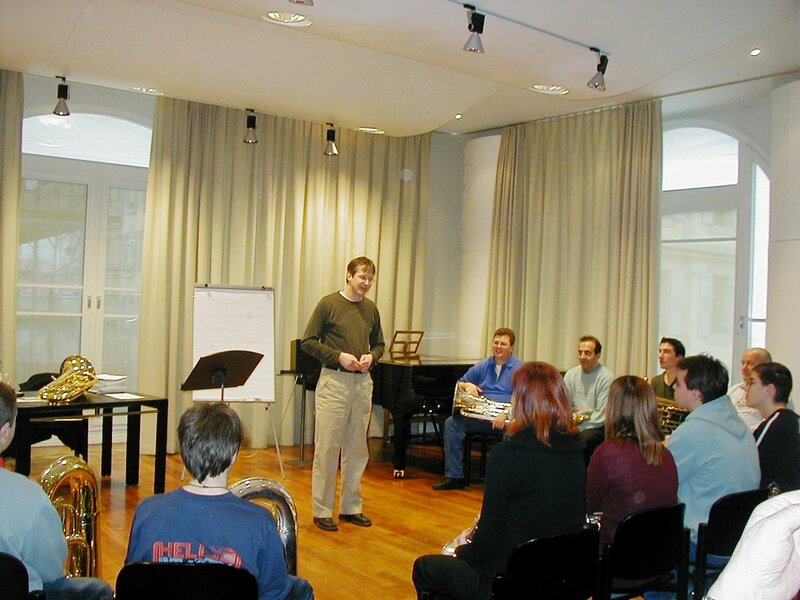 Thomas Rüedi has performed as soloist throughout Europe, USA and Asia. 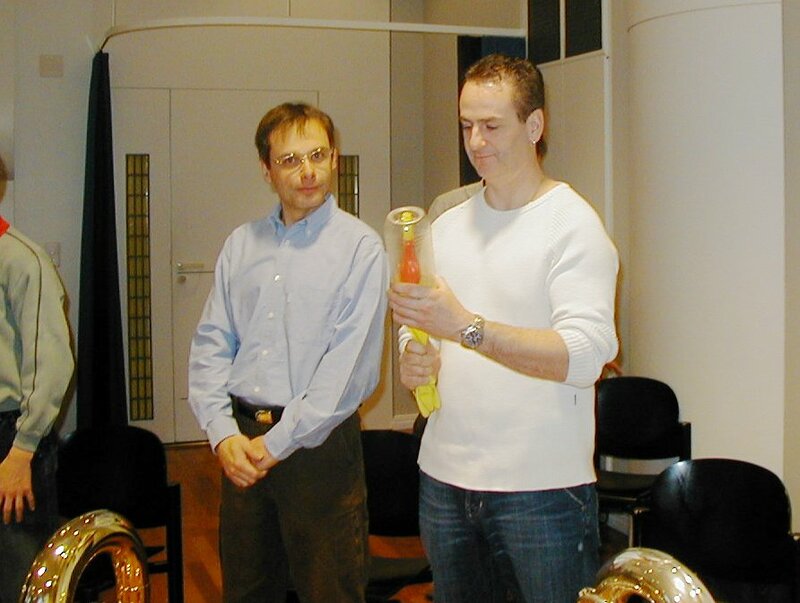 In 1999 he was awarded first prize at the European Solo Championships for brass players in Munich. The following year he recorded his highly regarded solo CD "Elégie". 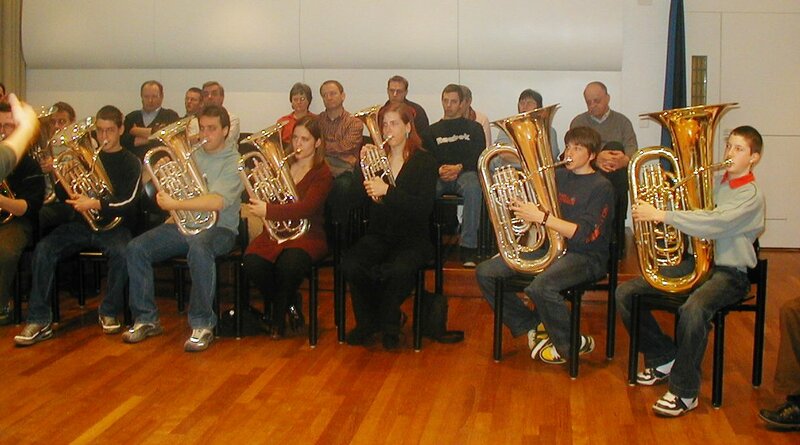 He regularly performs with some of Switzerlands finest Symphony Orchestras, playing the tenortuba and basstrumpet parts.